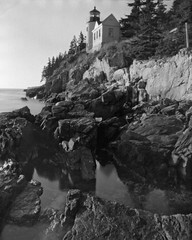 Bass Harbor head lighthouse, Maine. 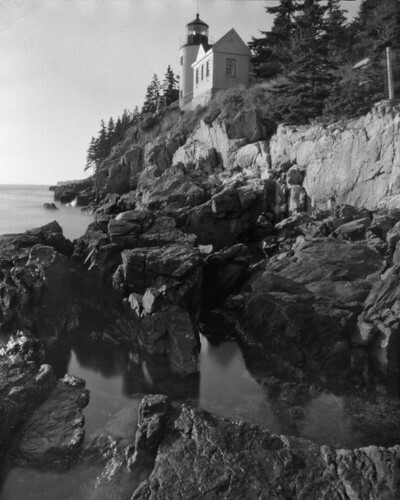 Shot on 4x5 TMAX 100 with a 4" focal length 0.016" pinhole (f/256). Exposure was about several seconds. The unevenness along the top edge is, I think, due to developing in a steel rack with holes along the edge. I was agitating the negs a lot and it appears that developer flowing through the holes caused extra development (darker neg, lighter positive). Dang.